Both the second and third US Presidential debates featured a question on many folks minds this season. What can the U.S. Presidency do about gas prices? Setting aside the twin question of should an administration do anything, neither candidate’s answer was very compelling. Not the whole story of course, and speculation acts to varying degrees as a distortionary force on accurate (in terms of supply and demand fundamentals) price ranges depending on the fiscal quarter and/or year in question. And in any event, the demand curve for the world is steep with a strong upward trend. Barring a major, Black Swan type collapse in the human population growth rate, or an equivalent technological breakthrough, the trend shows no signal of abating. Speculation likely won’t change that. Even Permian Basin shale oil, tar sands, and deepwater supplies will not meet demand over the mid and long term hauls. Such probabilities are only juiced when the negative consequences of fossil fuel use and abuse, global warming and spiking toxification, factor themselves in. And one can see how Tillerson might be motivated by more than civic duty to have Wall Street take the blame. That being said, no one seriously argues the signal is not there, but how much and how often so. (A bit like AGW and Climate — complex adaptive systems rarely lead to simple answers around a steady state and/or equilibrium). Either way, neither candidate avoided the trap of implying that a US president can substantially impact oil prices and/or those for its refined products like gasoline. Because of course they cannot. Both of them almost certainly know this. JPMorgan, Oxbow, Glencore as they write futures swaps, engineer derivatives, and back physical delivery commitments for Rex and his competitors can realistically do more than a POTUS from any party. Policy solutions and greater public accountability of their activities notwithstanding, high rates of regulatory and political capture in the U.S. by the energy and financial sectors means low potential for regulatory action. Two other factors matter. The first is that the US has for some time the lowest gasoline prices, on a purchasing power parity basis, of any of the G7 nations. 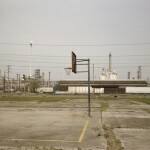 The second, no-one seems to want a refinery in their backyard or near their coastal properties, luxurious or otherwise. Only the product and only from distance. Anyone that has traveled along the coastal and wetland routes from Mobile, Alabama to points in East Texas, (the 300 mile length know locally as “Cancer Alley”) has observed the petrochemical wasteland that great expanses of it are. So who can blame them? Ultimately, as many have pointed out elsewhere, the impact of rising gasoline prices on home economics and the civic responsibilities inherent in keeping water and air supplies clean will subside with refficiency standards such as CAFE, which given their limitations in turn serve as a first step towards a Carbon Tax. Another important set of solutions will come from locally decentralized solutions like greater access to bicycling and pedestrian traffic, incentives towards low-carbon urban densities away from “mall-i-fication”, and decentralized power supplies such as those from solar energy. Behavioral shifts will matter as much as technology in freeing up the purses of the United States citizenry from the drag and drain that fossil fuels represent on their private and public savings. Since neither the public and/or private finance, or production sectors at the top echelon of global power have control of the dominant factor in the industrialized world’s populations, who, or what does? How? Or is such control purely an illusion?